Since Alonzo and I started dating we realized how much we both shared the love for the holidays. With Alonzo being in the military, usually, this is a time of year we know we can share with our families. In recent years we've hosted our families at our home. 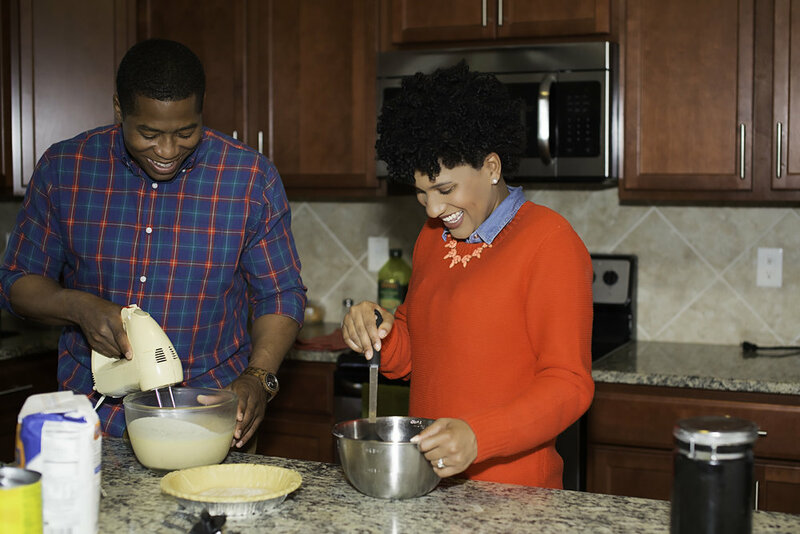 We really enjoy cooking together and sharing holiday traditions and creating new ones. 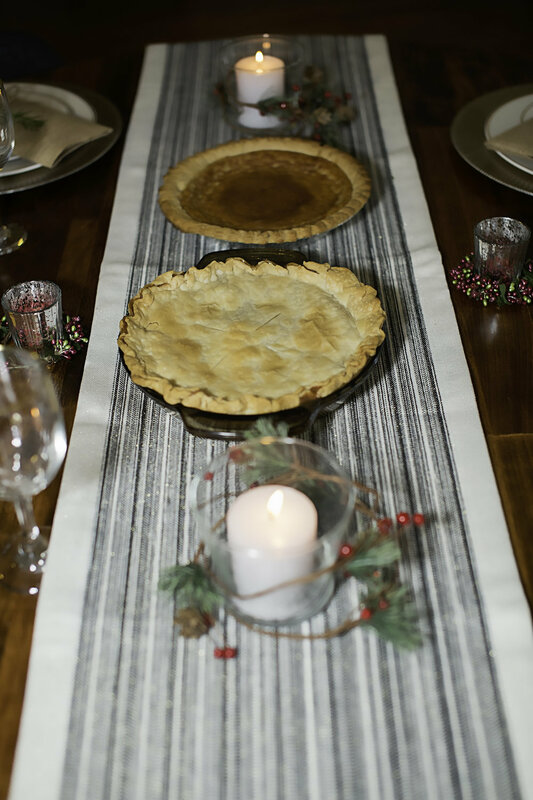 We both use family recipes and create (what I think is) the most delicious holiday meal. Not only do we share a special love for the holidays but we both hold a special place in our hearts for our grandmothers. Alonzo is so fortunate to have not only his grandmother but also his great-grandmother alive and well. My grandmother passed away about 4 years ago but her spirit is always with me! My mom recently gave me my grandmother's handwritten recipes cards. It meant so much to me and I can't wait to share these same recipes with my children one day. This year we decided to tackle our grandmothers' dessert recipes. As a child, I didn't eat peach cobbler but as I got older I tried it and realized what I was missing! Alonzo made his grandmother's egg pie. Now don't get me wrong when I heard the words "egg pie," I immediately thought "oh my goodness what could that possibly taste like?" Well, let me tell you it tastes absolutely amazing! Mix these ingredients together with a mixer. Pour into a ready made pie crust. Heat oven at 400 degrees and cook for 40 Minutes. Lately, I've been decorating a little bit more than usual. I finally think I've discovered my home decor style. It's something that doesn't come as natural as my fashion sense. I bought each place setting under $5. The plates and glasses are from the Dollar Tree! It just so happens that this year we will not be able to spend the holidays with our families. Although this will be tough, at least we have the taste of what we feel is home, in our home.